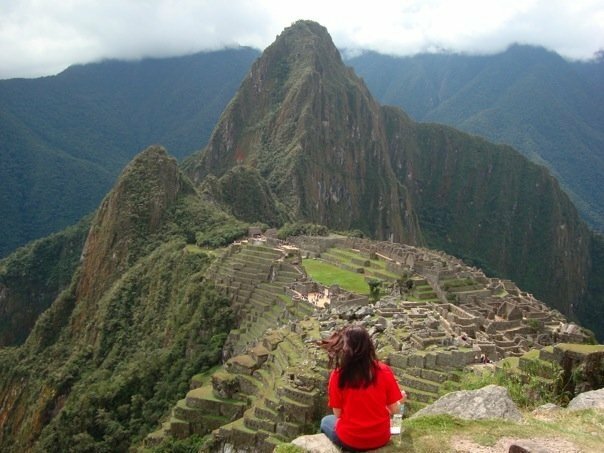 novelista barista at macchu picchu - photo provided by her (i'm not stalking her, you know). 1. you said recently you wished you'd gotten a different degree...if you could do it over, what degree would you get today? i wish i got a degree in teaching OR with a specialization with my communications degree..i dont know which i would do because they both have their perks but i'd probably lean more towards the specialization. 2. in the same vein, what advice would you give your 18-year-old self? id tell myself to TRAVEL ABROAD DURING COLLEGE. And find a specialized field to go into so that I can start making money when i got out of college. digital... used to be film.. i felt like i was the last person on earth to have a winding camera with film but i ended up also being the only person with actual pictures. but now digital is the way to go... going to cvs to drop off film takes too long! 4. your ultimate dream camera? dream camera would be one that takes pictures really clear and in one second so i dont miss something when i am trying to take the picture... that always happens to me because my camera is too slow. 5. what did your parents think you would be when you grew up? i honestly have no idea... i think a teacher and i should have went with that because i could have had the summers off!!!!! who ever told me that wasnt a good idea is insane!! lol i honestly have no idea about this. 7. who will you play you in the movie they make of your life? 8. share with us a quirky random story. hmm...random story...when i worked at this coffee shop in new york, it was about 7am and i was doing the routine, making everyone's drinks on the espresso machine as they came in. i happened to look up and see Bill Murray there. He ordered a latte. So I got to make his latte, which was awesome because i do get star struck a little so I didn't want to mess it up. As he was leaving he tipped us well and said it was one of the best lattes he ever had. Go me! run along, read her blog and long for NYC. Am behind on everything right now, including writing my own responses... Why, oh why, did I take 1500 photos at the wedding? It was great fun but man do I still have a lot to sort through. Fun interview and don't you wish you WERE stalking her to Macchu Picchu? What a high!